Day 01 - Arrival / Athens. 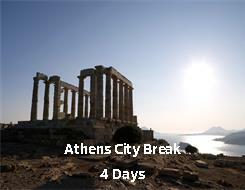 Day 02 - City tour / Athens. Day 03 - At leisure / Athens.